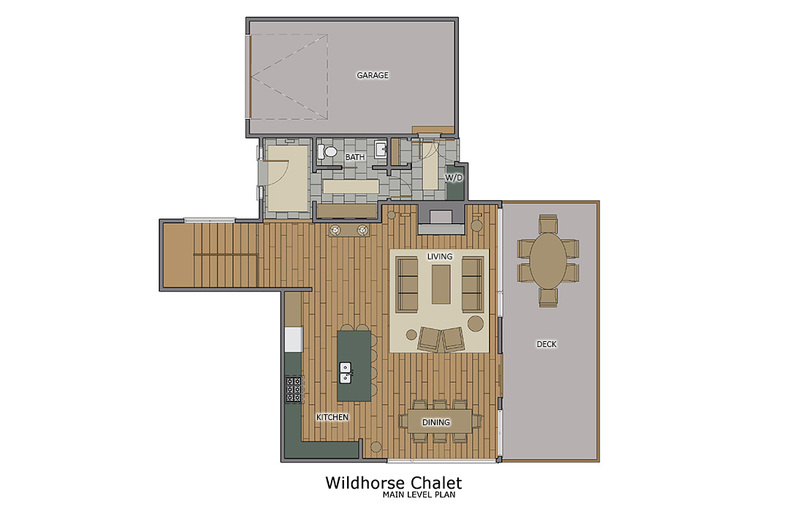 At Wildhorse Chalet you can enjoy all the perks of your own house without sacrificing any of the amenities of a slopeside residence. 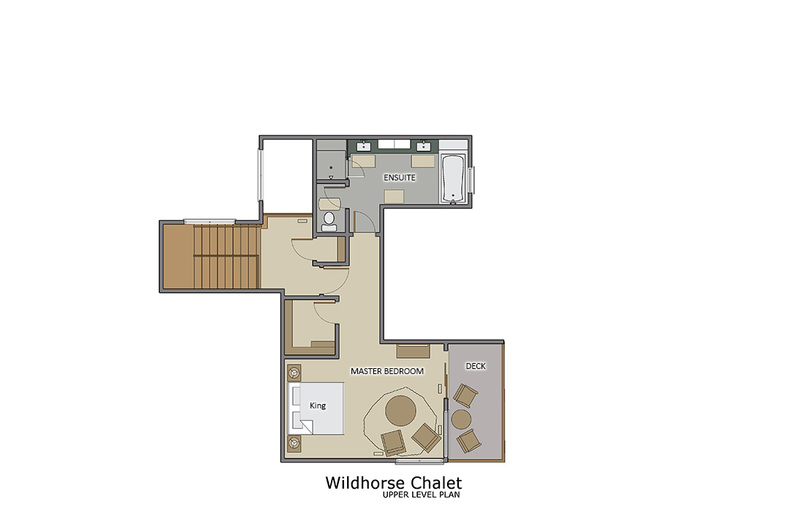 This brand new 3 bedroom, 3.5 bathroom house offers modern mountain styling that will make you feel right at home. Once the food is prepared, head over to the dining room to enjoy the fruits of your chef’s labor. There is seating for 8, with views of the valley through the large windows or over to the fireplace in the living room. There is additional seating for 6 at the kitchen counter. Summer offers the opportunity to dine al fresco on the deck at the large outside dining table, which also seats 8. The home offers everything you would expect from a modern house, including, air conditioning, boot warmers, free wifi, plush towels, and comfortable bath robes. In addition, you can take advantage of all the amenities next door at Trailhead Lodge. These include a fitness room, outdoor heated pool, hot tubs, game room, gondola to the base, seasonal shuttle and more. Incredible townhome! Service was top notch, location was perfect and all around an incredible stay in Steamboat. 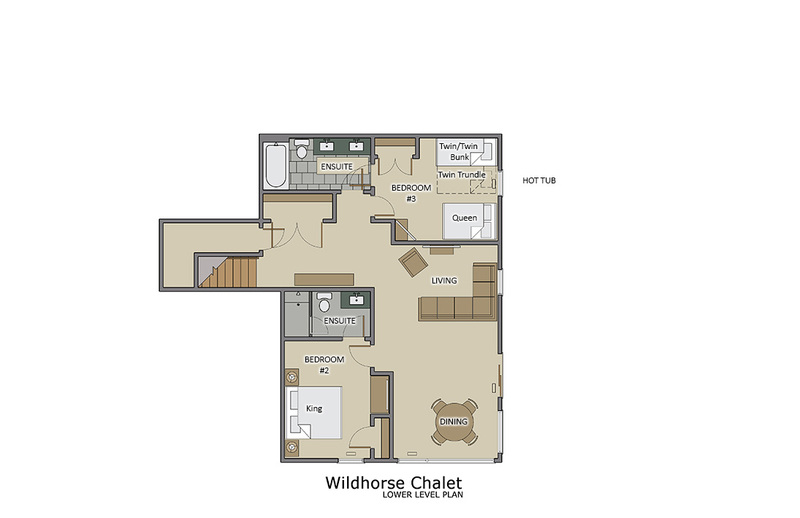 It is a fabulous new home--decorated beautifully, a fully equiped kitchen, updates everywhere, large new TVs, very comfortable beds , wonderful bathrooms and perfect location to get to the mountain using the Wildhorse gondola. Our family of 6 had a perfect stay in the home. Everything is provided and great spaces to be together in the living room and dining area or in small groups downstairs. Had a wonderful hot tub that we used every night. It was so easy to pick up the Gondola ( no line ) for a 3 minute ride to the ski village where we picked up our skis ( at Black Tie skis) as we got off. It couldn' t have been any more convenient. We really loved the house and the attention to decor and amenities the owners had put in it. Beautiful accommodations with a well stocked and outfitted kitchen made us want to prepare most all meals versus dining out. Very comfortable with all the amenities including a nice deck with gas grill and personal hot tub located on the lower patio. Lastly, no waiting for a shuttle to the slopes (although their personal shuttle service was very responsive regarding trips to town) as your own gondola is a two minute walk from the back door which drops you off at the Steamboat Gondola Square for shopping and/or skiing.